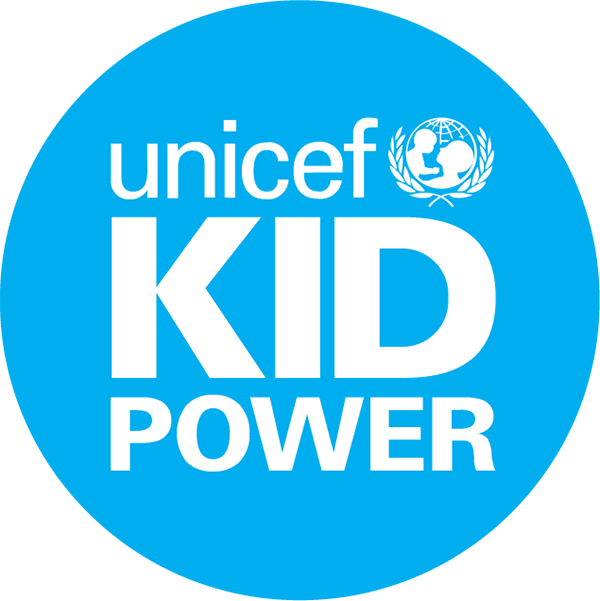 How can I participate with UNICEF Kid Power? How does this work, and how does it help my class? Why participate with UNICEF Kid Power? Every child should realize they have the power to make a difference in this world, and every child should have the opportunity to make a positive impact in the world. With UNICEF Kid Power, students realize their everyday activity—like moving and learning—can make real-world impact. Through UNICEF Kid Power, students become more active and engaged, while learning critical skills that empower them to work together and become a generation of active global citizens. In addition to learning about global issues and the world around them, kids learn the value of helping others and what it means to be global citizens. Kids Get Active and Save Lives. With free UNICEF Kid Power Ups, kids can unlock lifesaving therapeutic food packets by dancing and learning with short, interactive videos. Kids Learn 21st Century Skills. As kids complete Kid Power Ups, they learn about the world around them while developing 21st century skills and social-emotional connections through goal-oriented experiences. Kids Earn and Give Back. As kids complete Kid Power Ups, they earn Kid Power Coins to use in the Kid Power Exchange. From supporting a local food bank to planting trees, the Kid Power Exchange offers a number of ways for kids to make a bigger impact, right in their backyard. Want to Earn More? You can get UNICEF Kid Power Bands for your class. Register for Kid Power Ups, or learn more about how you and your students can participate with UNICEF Kid Power today.